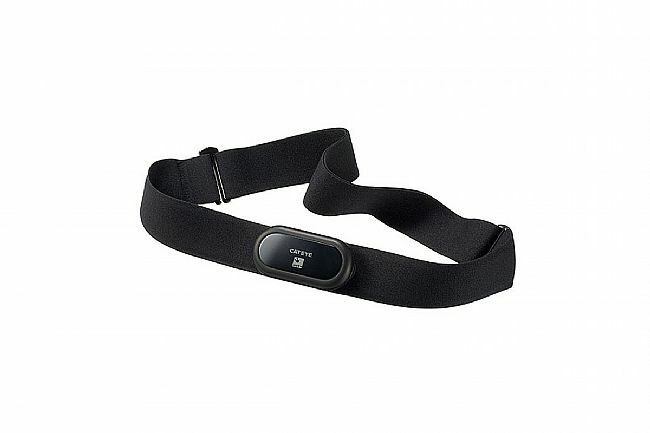 Cateye's comfortable Heart Rate Strap makes it easy to track your fitness and meet training goals. It's compatible with their Stealth 50 computer or any other ANT+ compatible device. Love it, minus the fact that it refuses to work at random times. It does exactly what you'd expect and it does it well. I'm not sure why, though, but it will just fail to read my Heart Rate for no reason at all. I get the electrodes adequately wet before each use. Sometimes it'll last my entire ride (no malfunctions on a 103 mile century to the beach and back? great!) and sometime it won't (a 25 minute indoor trainer session can have the HRM fail to read halfway into the session. I'm usually soaked with sweat during these, so the HRM is saturated during these sessions!). I don't get it and it's frustrating when attempting to operate within certain HR thresholds for training. I'm almost considering trying another HRM for comparison, but college student be broke. I purchased the Cateye heart rate monitor to sync to my Cateye Stealth 50 cycling computer. Now I never ride my road bike without them. The monitor is easy to put on and comfortable to wear. In the past I would mount up and just pound the pavement, always trying to best my previous ride. Now I monitor my heart rate and ride in different heart rate zones to improve my Aerobic Endurance, Strength Endurance and Aerobic Base. The Cateye heart rate monitior easily syncs to the computer and has been 100% reliable in transmitting my heart rate to the computer. I dab a small amount of liquid hand soap and water to the sensor pick-ups located on each side of my heart and the monitor hasn't missed a beat on rides lasting up to my longest of four and a hours. Once the ride is complete I load it to the Cateye Atlas site where I can view average and maximum heart rates as well as a interactive graph showing my heart rate compared to elevation, cadence and speed. Like I said in the header, it's changed the way I ride and that's a good thing!